When Deloitte Canada moved their Toronto headquarters to a the Bay Adelaide Centre, they worked with their architect and in-house design team to support changing work styles and encourage community among employees. They wanted the new environment to inspire, encourage, engage and cultivate growth, learning and collaboration. Entro, a world-renowned branding and environmental design agency was tasked with the design. 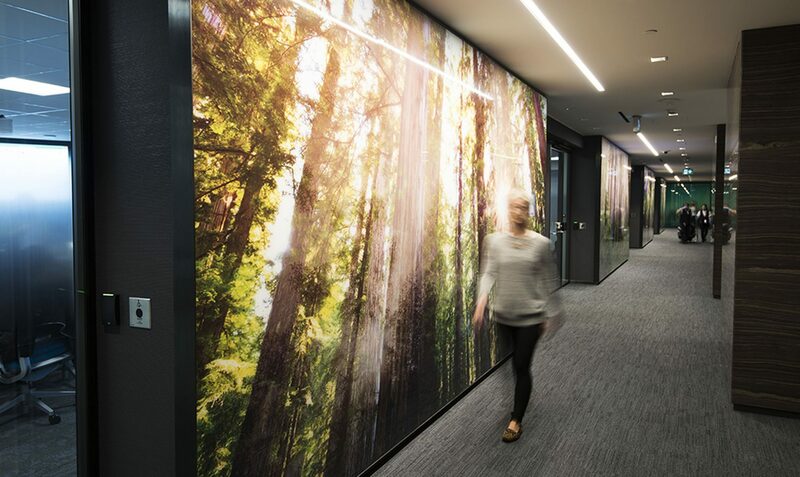 They worked with Deloitte to develop the employee training area of the building and wanted to tie into the theme of Canadiana, ensuring a sense of local pride. By using scenic photographs of Canada, they hoped to evoke emotional responses while complementing the other artistic elements of the building. 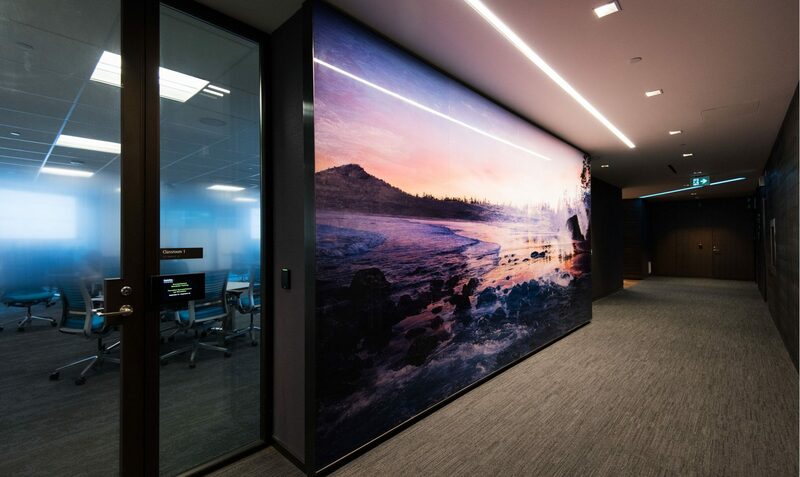 Imagic Glass was approached by installers Albion Glass to print large scale, laminated, high-resolution direct-to-glass printed panels for four corridor elevations. 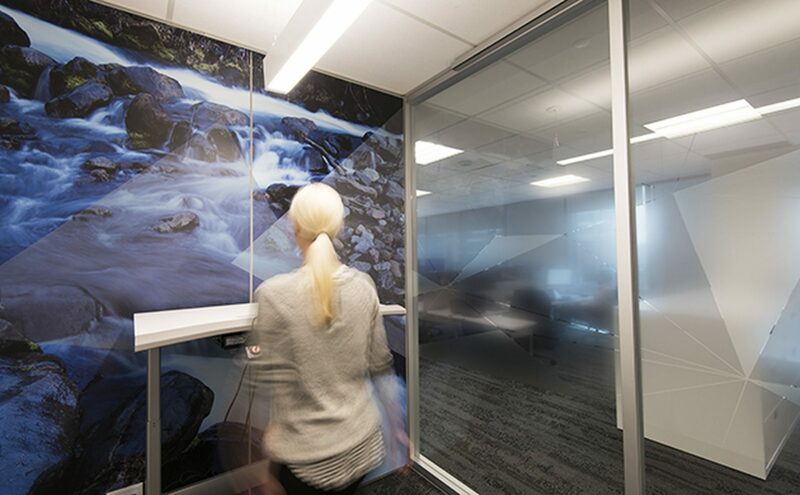 Super crisp photography was layered onto the glass through our proprietary print technology, laminated for protection and safety and adhered directly to the hallway walls. The end result gives the illusion of being backlit and creates dreamlike landscapes along the halls. Deloitte Canada is pleased with the outcome, which they feel provides an interpretation of Canada – east to west, north to south. If you have a grand vision for an architectural project, contact our talented team at Imagic Glass. We will work with you to ensure your dream becomes a reality.